"It was the worst thing I have ever been through," admits Vicki, talking about her feelings about infertility. “Years of serious emotional pain, it was worse than any physical pain I’ve ever experienced. In the time we were trying for a baby all our friends had started to have children. It felt as though everyone else was finding it easy and I found that really hard. It was very isolating. I felt very ashamed of my emotions, which made it even harder. It was a horrible combination of sadness, jealousy, anger and guilt. “People say your emotions play a part in fertility, so I was blaming myself because I couldn’t control how I felt which was just awful. I started shutting myself off from things I couldn’t handle, even family parties, and that was very difficult for Mark who frequently had to try to explain the situation to them. It started to cause rifts in close relationships which at the time just added to the stress and sadness within the family. “Everyone meant well but after a while the words ’I’m sure it will be alright’ just felt like people didn’t really understand the weight of importance that being a mum had to me. We considered adoption and, whilst it is something we are still thinking about for the future, the desire to have our own children was too strong to give up on. When the couple first asked for advice they were told to go away and carry on trying as hormone tests couldn’t find an obvious cause for why Vicki could not get pregnant. Vicki also paid privately to have a hycosy test done in a clinic in London to check her fallopian tubes which also didn’t reveal any problems. Health-wise the couple did everything they could to try and improve their chances. After two more years of not conceiving the couple were finally referred for fertility treatment and they chose to go to Bourn Hall Clinic. Being told they would get fertility treatment was a huge relief, reveals Vicki. “When I was referred to Bourn Hall it was wonderful, just brilliant.”. 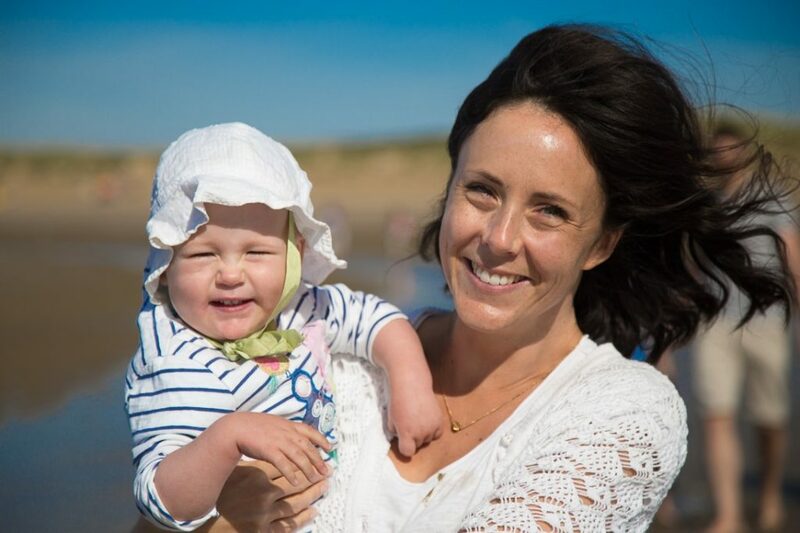 “It was emotional: other people had said to me that when you are referred for fertility treatment there is a final realisation that it really isn’t going to happen naturally and sense of loss. The couple were treated at Bourn hall using the standard IVF technique but Vicki didn’t allow herself to be too optimistic. “When we saw the positive test it was brilliant,” she says. “But it also took me a really long time to trust it. I couldn’t even tell my mum; I had to let people really close to me know by text message that the treatment had worked because I didn’t dare believe it or say the words even. It was more than 12 weeks before I could say ‘I’m pregnant’. When Emme had just celebrated her first birthday Vicki and Mark were thrilled to discover that Vicki was pregnant again – this time naturally. “Apparently it happens a lot,” says Vicki. “I know three other couples who struggled to conceive first time around and then didn’t have problems the second time. I do think it was something physical because every stage of my IVF treatment went so well. “When people are making funding decisions they really need to consider the emotional and mental impact not conceiving has on people and their families. It is not just a physical thing. It completely took over my life, and, if we had not been so lucky, probably would have caused long-term problems that would have cost the NHS money in another way,” she says. Find out more about IVF treatments here. If you are concerned about funding your fertility treatment, Bourn Hall provides a variety of cost-effective options that may help – see more information here.